Tailgates and tickets to a professional football game are fun for families, but we know true fans want to do more in honor of their team. For a different, inexpensive experience at your favorite team’s stadium, try a football stadium tour. Families can get a behind-the-scenes look at where players prepare for games and press conduct exclusive interviews. Interactive areas get visitors in the game and on the field, too, and showcase inspiring stories of the history behind each team and their stadium. From the oldest, to the highest, to the loudest, and beyond, these are our favorite national football stadiums to tour with the kids. 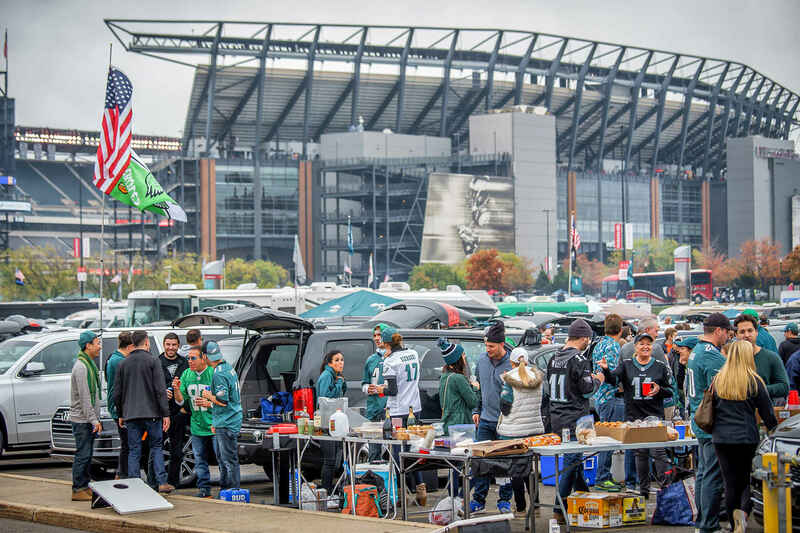 Take a tour of the Philadelphia Eagles' nest, otherwise known as Lincoln Financial Field! Both public and private tours (minimum of 10 people) are available. Tours, which last about 90 minutes, include a visit to the field, locker room, post-game interview room, press box and broadcast booth. Tickets are free for kids under age 3 and strollers are welcome. Upon entering Patriot Place, families' eyes will light up when they see all there is to do just outside of the stadium. Patriot Place is filled with restaurants, stores, bars, a hotel, and Gillette Stadium, of course, which is home to the New England Patriots. 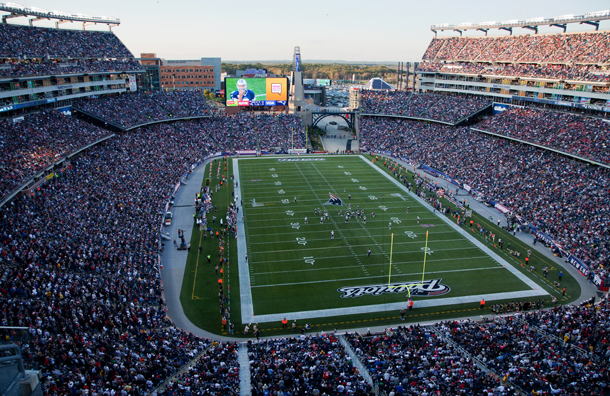 Located in Foxborough, Massachusetts, about 40 minutes outside of Boston, Gillette Stadium has been home to the team since 1971. 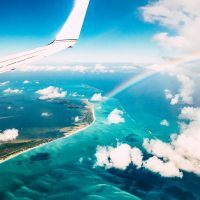 Today, the Super Bowl superstars take the field and fire up the fans in the more than 65,000 seats, all of which offer fantastic views of the field. Enjoy all that Patriot Place has to offer, including the New England Patriots Hall of Fame. Discover more than 30,000 square feet of football history devoted to the Patriots and exhibits based on current team traditions. Kids can run through a tunnel just as the team does before every game; watch the signature film, Patriots Way, in the 150-seat theater; and attempt a field goal in the Adam Vinatieri kicking simulator. Tours are held daily, but the space is closed during home games; it is open before and after the 1 p.m. games that are home. 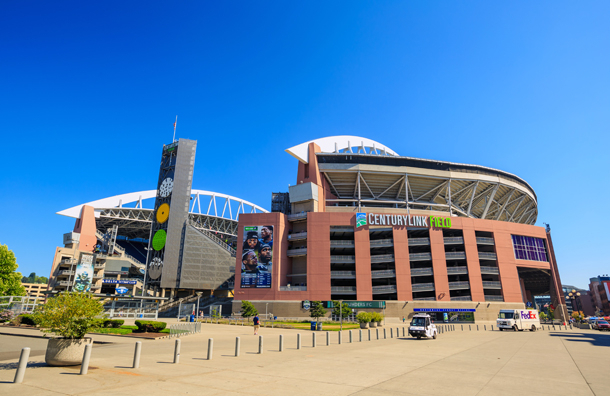 Home to the Super Bowl XLVII champions and a crowd that is louder than any other in the National Football League, CenturyLink Field is a must when in the Seattle area. If the sound is too much for your little ones, enjoy a much quieter, but just as fun, football stadium tour. Get a behind-the-scenes look at where the team practices, suits up and enters the field every year. Enjoy 1.5 hours in the 67,000-seat stadium as a guide takes you through the suite and club levels, to the 12th Man Flag Pole (which was raised in 2003 in honor of the team's incomparable fan base), into the locker rooms and onto the field. Visitors are encouraged to bring cameras, as the stadium tour offers unforgettable views of the surrounding Olympic Mountains and Puget Sound. Tours are held daily, year-round, but are suspended on home game days. Tours are free for kids under age 4. 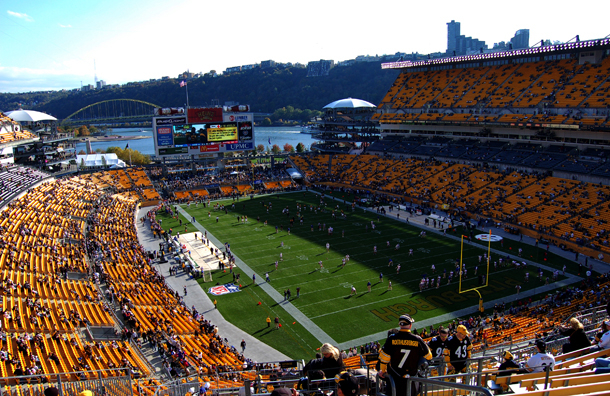 With views of the Allegheny River surrounding it, Heinz Field is a stadium that families should see when visiting Pittsburgh. Temperatures are known to reach extreme lows during the winter months, so a game in the snow might not be the most appealing family activity. Instead, take a tour of the football stadium during the warmer months of the year. Stadium tours are offered from April to October daily by reservation, with special walk-up tours on certain days of the week. All football stadium tours will bring kids and parents through the FedEx Great Hall, where you'll find a plethora of Steelers memorabilia. You'll also see the clubs and luxury suites, the press box, South Plaza stadium entrance and the field. Tours last about 90 minutes. Be sure to take photos near the enormous Heinz ketchup bottles! Tours run April through October daily, but are suspended during home games. Walk-up tours are only available on select Mondays, Wednesdays and Fridays during this time, as well. The tour is free for children under age 4. 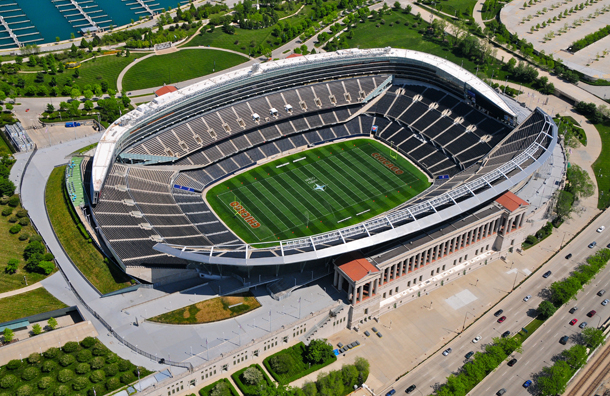 If you visit Chicago, be sure to stop at Soldier Field -- it is the oldest football stadium in the U.S. Opened in 1924, Soldier Field did not become home to the Chicago Bears until 1971, but it hosted memorable events, such as the largest football crowd ever in attendance -- 123,000 people. Although rooting for Jay Cutler on the sidelines in one of the 66,000 seats can be fun for the family, a tour of the football stadium offers a look at what's beyond the field. Kids and parents will get a look at the locker rooms, which include jerseys of famous players from teams throughout the NFL; the South Courtyard; the Doughboy Statue, which was placed at Soldier Field in honor of World War I veterans; the grand concourse; skyline suites; and the large and awe-inspiring Colonnades event space. Plus, visitors receive access to the field and photos are encouraged! Tours last about an hour. kids under age 3 are free to enter. Sports Authority Field at Mile High stands above all other stadiums -- literally. At approximately 5,280 feet above sea level in Denver, Colorado, it is the highest stadium in the U.S., and puts the Denver Broncos above all other teams, too. Fans who can snag a seat to a game in one of the 76,000 seats will also have unforgettable views of the Rocky Mountains and the Denver skyline. 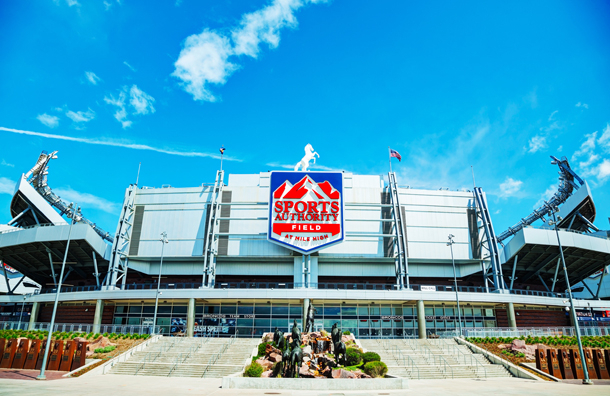 For a slightly different experience that will be just as memorable, book a tour of Sports Authority Field at Mile High. The walking stadium tour lasts about 90 minutes and takes guests on a half-mile walk through the various sections of the field. Guides from the Colorado Sports Hall of Fame and Museum -- which is also located at the field and is a part of the tour -- take guests through the executive suites; the United Club level where the VIPs sit during games; the Keg Room (something parents will surely enjoy seeing); and the press and broadcast centers. Kids will also love seeing the locker rooms and Thunder's stall -- the area where Thunder the horse stays when he's not galloping across the field after a touchdown. Tours are free for kids under age 5. The Green Bay Packers have a history that dates back to 1919, and have been playing at their stadium, Lambeau Field, longer than any other team has in the NFL. Originally City Stadium, but renamed in 1965 for the team's founder and coach E.M. "Curly" Lambeau, the field in Green Bay, Wisconsin, is known for its pre-game tailgates (even in below-zero temperatures) and its fan base that is unlike any other. Wear your green and gold to a game or a football stadium tour -- both of which are fun experiences. 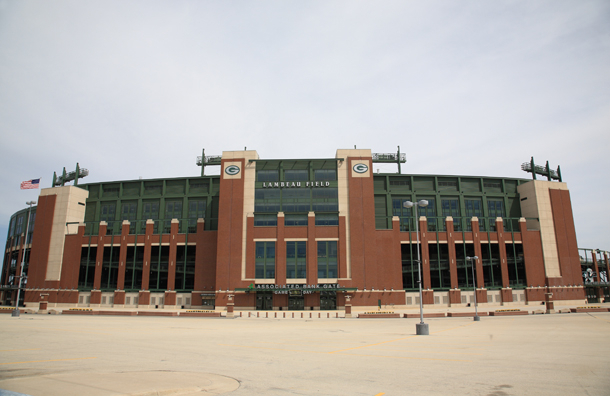 Families can choose from three different stadium tours -- yes, there is that much to see, do and learn at Lambeau Field. The Classic Stadium Tour includes access to the field atrium, the private suites and the players' tunnel. The Champion's Tour offers families a look into the field atrium, the south end zone of the field, the private suites and the players' tunnel. The Legendary Tour offers fans access to all of the above areas, as well as the team locker room, the press box and the field. All football stadium tours include an in-depth history of the team, their uniforms and the field, and will surely inspire even non-football fans to find a love for the sport and this franchise. Tours are free for kids under age 5 and last between one and two hours. Opened in August 2014, Levi"s Stadium is home to the San Francisco 49ers. 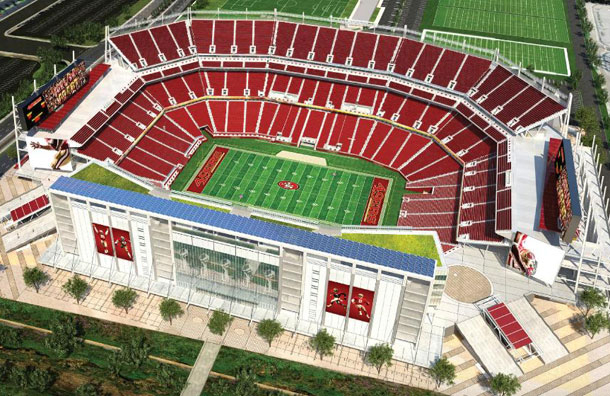 Located in Santa Clara, California, the stadium has 68,500 seats, all of which reflect the team's iconic red color. While the stadium is newer, it pays homage to the team's history. Tour the 49ers Museum and learn about the past, present and future of the team. Eleven galleries across 20,000 square feet pay tribute to legends like Joe Montana and Steve Young. Take pictures with current players in the Augmented Reality; watch an inspiring film in the Morabito Theater; and get in the game -- literally. The In the Game area of the museum puts kids and adults into interactive challenges that are motion-driven. Guests can be a uniform designer, a cheerleader, or a quarterback, and can score a touchdown -- be sure to show off your best end zone dance! The museum is open daily, but closed during home games; hours vary on game days. Admission is free for kids age 4 and under. You don't have to be a Dallas Cowboys fan to recognize the large navy and silver star that is their emblem. 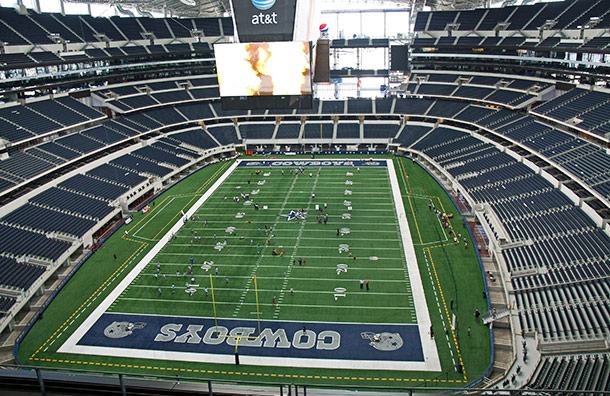 Visit AT&T Stadium for a game or a football stadium tour with the kids. Through the Self-Guided Stadium Tour, families can get a behind-the-scenes look at the nation's largest enclosed stadium, which expands to 100,000 seats when needed. 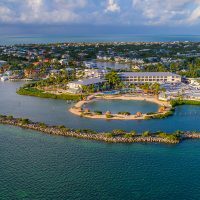 Walk through the locker rooms, where your favorite players prepare for big games; sit in the post-game interview room where ESPN gets the scoop from the quarterbacks; and feel like a VIP as you enter the Miller Lite Club, where elaborate events take place year-round. At the end, kids can run onto the field just as their favorite players do each week. Catch a pass right on top of the star and then pose for a picture for proof to show your friends and family. 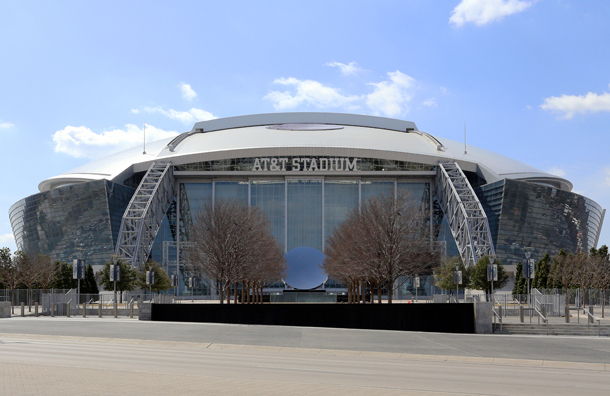 Tours begin in the AT&T Stadium Pro Shop and are offered year-round.